Steel rims with summer tyres for all common cars from passenger cars to SUVs and light trucks are part of the massive 123tyres.co.uk range online. Whether you prefer runflat tyres, offroad tyres or racing tyres, we are fairly certain that you will be able to find the right kinds of steel wheels here. 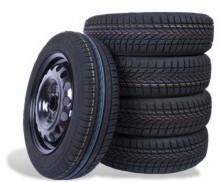 In fact, we even stock speciality tyres and are thus able to address some of your most pressing needs. If you would like, you can customise our tyre and rim packages according to your liking. Please make sure that you provide us with further information about your vehicle so that we can suggest the right wheels and rims for you.